WHAT DO OUR BEEFALO EAT? Beefalo are a fertile hybrid offspring of domestic cattle, Bos taurus, and the American bison, generally called buffalo in the United States. 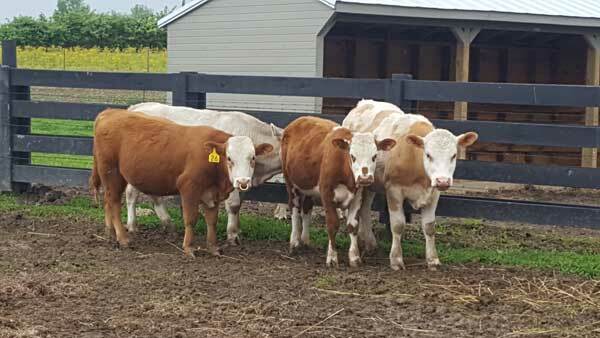 The breed was created to combine the characteristics of both animals for beef production. Accidental crosses were noticed as far back as 1749 in the southern English colonies of North America. Cattle and buffalo were first intentionally cross-bred during the mid-19th century. Beefalo are primarily cattle in genetics and appearance, with the breed association defining a full beefalo as one with 3 ⁄8 (37.5%) bison genetics. The most important asset of the Beefalo is the end product – Lean Red Meat. 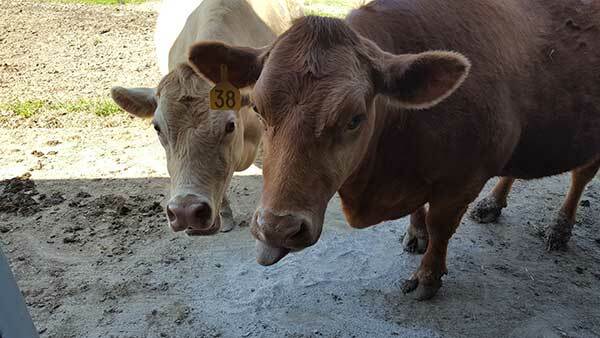 Beefalo cattle properly finished have an excellent meat that is tender, tasty, and lean. Beefalo produces a carcass that contains less fat and cholesterol than any bovine breed in the United States. Beefalo is recommended by doctors for patients with high blood pressure and high cholesterol. In 1994, a food study was conducted by Central Washington University and was published in the Journal of the American Dietetic Association (May 1994 Volume 94 Number 5). The study followed a group of 12 men for a period of 12 weeks. Cholesterol levels were checked before and after three 4-week periods for all men in the study. The meat used was from a "bison-hybrid which was 25% bison. This beefalo meat was purposely prepared to have 13% fat, which is more fat than is normally found in most beefalo meat, see chart below. If they had used regular beefalo, the numbers would likely be even better. Never less, in the end, everyone's LDL Cholesterol levels DROPPED after eating the beefalo, despite the fact they had increased the fat content. Our commitment to health and happiness in a natural environment! With eighty acres currently available for grazing, we are adding more pasture annually. 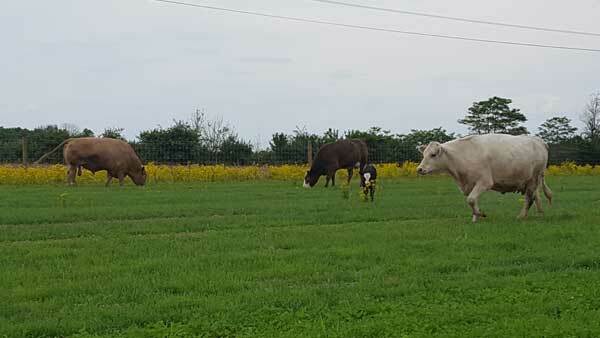 Rotational grazing began spring of 2017 which increases both soil and plant health. Soil and plant health improvements directly affect cattle health and increases the nutrient content of their meat. We are excited to see our new pastures flourish this year with the addition of orchard grass, endophyte-free fescue and medium red clover. We hand-weed as needed, leaving the beneficial native plants such as plantain and chicory. No herbicides or pesticides are used on our pastures! We will personally help you through the cut sheet. We deal with the butcher so you don’t have to. We pick up meat from the butcher and bring it back to our farm so you can pick up directly from us. Whenever we can, we box up your meat so you can pick up and go.